Dubbed the “Twitter Dragon”, multi-millionaire Simon Dolan started his first business with a ￡10 newspaper-listing fee. Later, he sold that business for over ￡100,000,000. 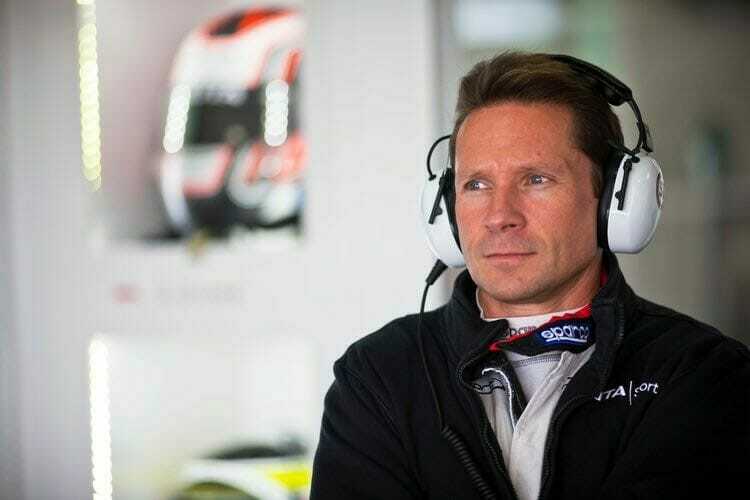 Today, he lives in Monaco with a business empire that includes motorsports, an aviation company, publishing, and more. But Simon never attended university. In fact, he is so adamantly against the “lie” of every person needing a degree that he even wrote a book about it. 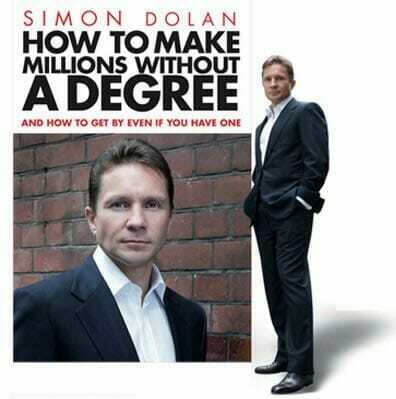 “How to make millions without a degree” has caused quite a stir in the UK. Simon shares his wisdom about why he believes university stifles your future; what success and luxury mean to him; the power of parental love; and why there is no secret recipe for success. HelloMonaco: You left school at an early age and have publicly criticised the university system. Why are you against university? Simon Dolan: Well, the same thing I always say, which is that I’m not against university or against education, because I believe it’s really important. We’re all learning, you know? But the problem, in England, anyway, and it’s mirrored in a lot of western countries, is that governments have basically sold university as the dream and the only way to get a job. And that was ok when university was free. What’s happened is that university has become more and more expensive. You get these kids who are 18, and not particularly academic, and they have been told that if they want a good job, they have to go and get a degree. They go off to some university and they get into .50–60,000 of debt, they study for three years and come out with a 2:2 in psychology or something and then they wonder why they can’t get a job at the end of it. So now they’re three years down the line, without any work experience, .60,000 in debt and no nearer getting a job than they would have been if they started when they were 18. So, I’m absolutely not against university, and I’m absolutely not against education, but I am against the lie, which is, that in order to achieve anything in life, you have to have a degree. Because with the exception of a few professions, that’s just not the case. If you want to be a lawyer or a doctor, yeah, you’ve got to go to university. But most other professions start off like in the old days, with an apprenticeship. In the old days, if you wanted to be a painter or a carpenter, or an electrician or something, you did an apprenticeship. You turned up at 18, you didn’t know anything; you watched somebody else do it, and then you learned and learned and then after a year, two or three, you had an applicable skill. HM: Do you really think 18-year-olds know what to do with their life? SD: No. But how many of us do? I’m 48 and I’ve done loads of things but I still don’t know what I really want to do. I certainly never wanted to do accountancy, which is one of my first businesses. I hated it. I still don’t find it interesting, but I made a lot of money at it. So no, you don’t know what you’re going to do when you’re 18. All the more reason not to go to university and narrow your choices. Because I’ve seen it a lot. You get some kid who is good in sciences, he goes to university and does a chemistry degree, and he does very well in that, and then he goes and does a masters; then he does a PhD. Then he’s 27 and the only thing he’s ever done is chemistry. What’s he going to do with the rest of his life? He’s actually pigeonholed himself into only ever doing chemistry. Whereas, if he didn’t go to university in the first place, he would have done lots of different things. I see it as university actually narrows your choices. HM: What is success for Simon Dolan? HM: How important is money to success? SD: Money is obviously a by-product of success. Depending on what profession you’re in, but in any kind of commercial transaction, then money is a by-product of success. Money just puts you in a position where you don’t have to do anything that you don’t want to do. That was a big one for me. All the nice watches and nice cars, and houses and trinkets and stuff are all nice, but it doesn’t make any difference really. If you’ve got a 60m boat, then having a 70m boat doesn’t really change your life, does it? So, there’s a point beyond which money doesn’t really matter. But I think freedom and being able to have whatever experience you want to have — are probably the two most important things. HM: Do you need to be in harmony? HM: What’s your most successful achievement in your life? HM: If you could live your life over again, what would you do differently? HM: What do you think about our project?